… large, high profile plant nursery makes the right choice. Ahead of the new growing season Mail Order nurseries are gearing up for Spring with environmental and climate protection more and more important for the end user. The subject of resource conservation is crucial ensuring that packaging can be easily recycled and that any likely end-of-life doesn’t contaminate landfill for centuries to come. One of Macpac’s horticulture customers, has chosen an option for in-transit plant protection combined with an environmental solution. In packaging, today’s innovation is tomorrow’s history. No one company is more aware of this than Macpac, a thermoforming packaging design, and manufacturer. 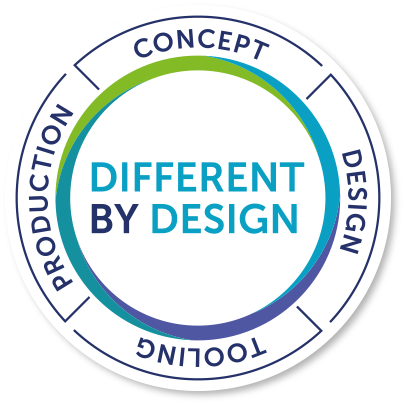 With its 45 year history the company’s team of designers working with sales engineers and their intimate knowledge of customer demands have, year on year, delivered packaging innovations. No more so than in the horticultural sector where customers are feeling the benefits of this hard work. For example the Plantpac mail order range was developed in collaboration with the mail order plant suppliers in the UK. Working together and combining plant knowledge, customer demands and packaging expertise a patented range of easy-to-assemble pack designs were created providing optimal ventilation and protection in transit for postal deliveries. One of Macpac’s biggest horticultural customers was using a conventional black plastic for one particular line. The downside to this being that the carbon black pigment used in the recipe of the raw material is not recognisable by the near Infra-Red (NIR) recycle sorting systems. This means the packaging typically ends up in landfill – not an end-of- life solution that the horticultural sector are keen to promote! The client was anxious to be seen to be making the right environmental buying choices and to avoid their packaging ending up in landfill and remaining intact for centuries. They challenged Macpac to help solve their problem which Macpac duly did. Breakdown PET’ material was the obvious choice, offering a pack that is 100% recyclable as well as giving an end-of-life solution with accelerated biodegradation should it end up in landfill. ‘Breakdown PET’ has the same characteristics and working specifications as conventional R-PET with a minimum 90% recycled content. Having ordered the packs the customer can now demonstrate a preferred eco-friendly buying choice raising the company’s environmental credentials amongst its customers. 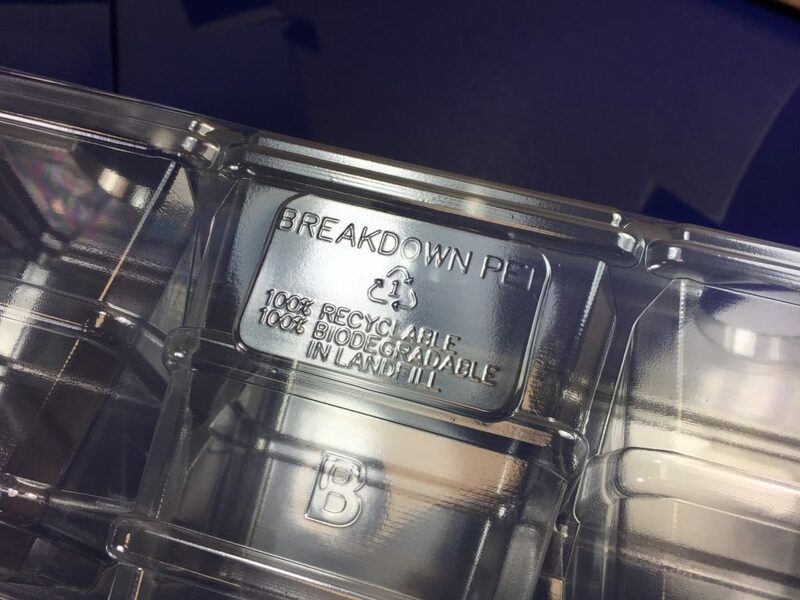 Now that the packaging is to be manufactured in the new revolutionary ‘Breakdown PET’ there is the added safeguard that in the unlikely event that the ‘Breakdown PET’ packs end up in landfill they biodegrade within a decade compared to the centuries it takes standard R-PET to biodegrade. 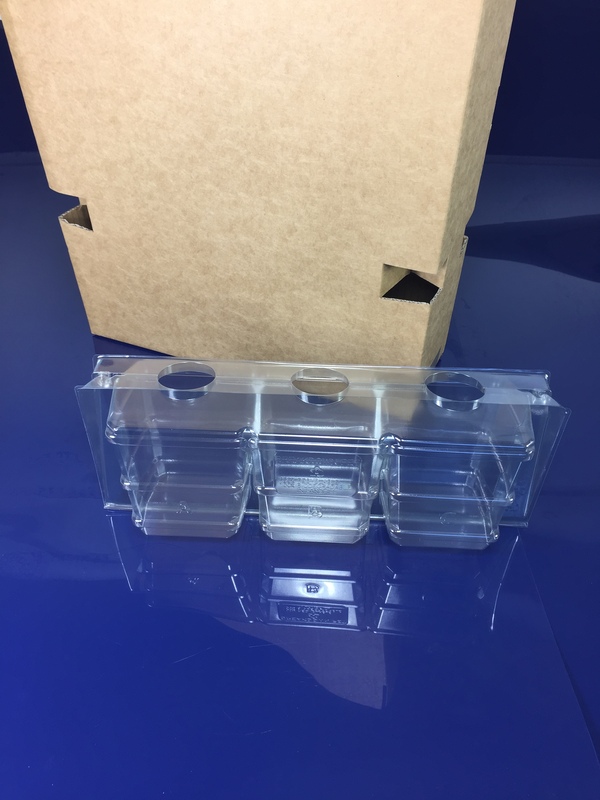 ‘Breakdown PET’ is not solely designed for the Horticultural industry, it can be utilised for any market sector so please contact Macpac to discuss further and let us solve your packaging issues.